Spring comes a bit slowly in eastern Idaho. 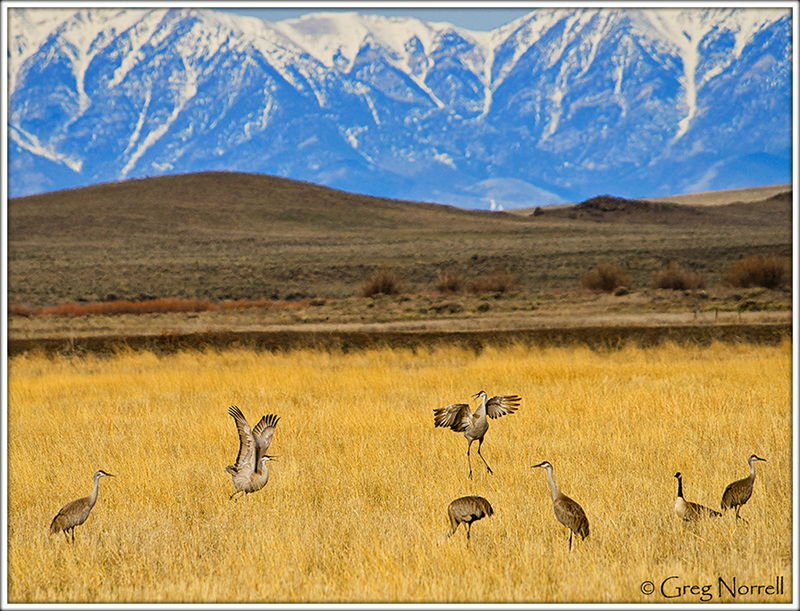 The Camas National Wildlife Refuge is along the northwestern part of the Snake River Plain in the shadow of the central Idaho mountains to the west. The Tetons are clearly visible almost 100 miles to the east. As the mountain snows melt, the ponds and marshes of Camas begin to fill, bringing a spectacular assortment of wildlife. Although the green of spring is still yet to come, the birds are certainly present. Trumpeter swans, sandhill cranes, Canada geese, and plenty of other waterfowl are throughout the Refuge. Low flying northern harriers fly just feet off the ground listening for prey that cannot be seen. Occasional bald eagles fly overhead. Snow geese rest in an open field, preparing for their northward journey. 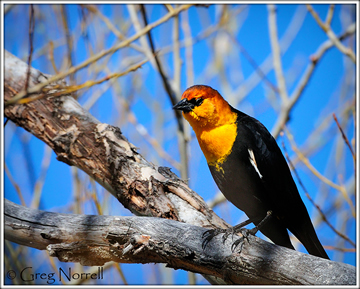 And yellow-headed blackbirds perch in trees and on reeds producing sounds similar to a creaking rusty gate. Spring is indeed arriving in eastern Idaho.